But did you know that behind these words so sweet and graceful hid a naughty boy? Did you know that the Belloy Saint Germain hotel was the meeting place of the Circle of Poets Zutiques, a group of young protesters who said "damn" to the society? 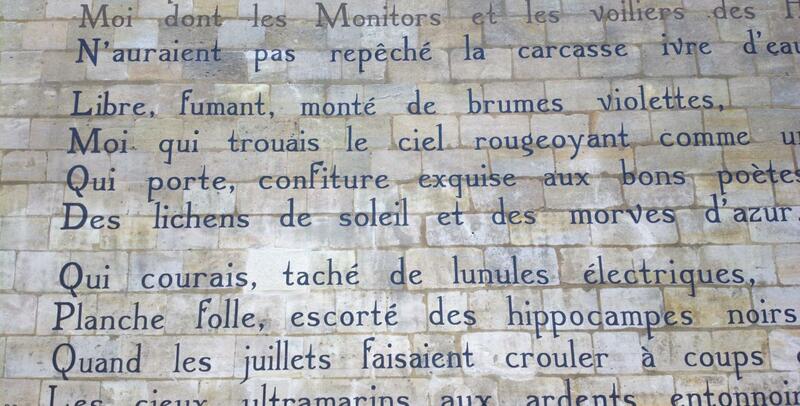 Did you know that the famous poem "Le Bateau Ivre" is inscribed on a huge facade in the heart of Paris? With Greets Paris, a Parisian experiential agency, the Belloy Saint Germain hotel has created an extraordinary visit around the circle of Poets Zutiques and the history of a district filled with culture and history. A two-hour tour accompanied by an expert and passionate speaker guide. A discovery trip and a timeless escape in an unknown and captivating world. Reinventing the service, rethinking the experience, cultivating the human bond with our customers, the Hotel Belloy Saint Germain is eager to help you discover this tailor-made and exclusive experience.